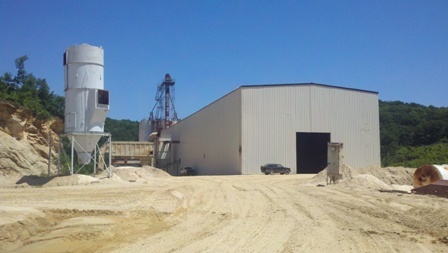 Southern Ohio Sand was founded in 2006 by three partners: Jon Paglio, Ron Vaughn and Frank DeMilta. They knew that their site in Beaver, Ohio, gave them an edge in the frac industry for three reasons: the area was rich with product, the product was so pure, and the central Ohio location made it ideal to transport the product to both the Midwest and east coast. 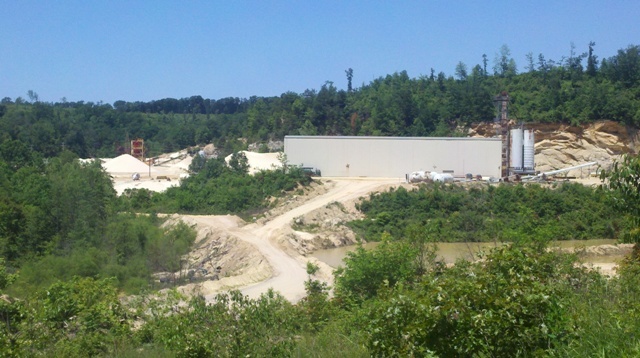 Today, Southern Ohio Sand has the capacity to produce more than 750,000 tons of sand and gravel per year. The founders’ knowledge of fracking, water filtration, foundry processes and steel processes make them ideal to help you with your sand and gravel needs. The plant’s custom machinery and current expansion (new building) ensure we can get your job done for you. One look at the test results on our final products and you’ll see why Southern Ohio Sand is the company with which you’ll want to do business. As part of our recent expansion, we decided to erect a new building to contain our drying processes and our testing lab to ensure a clean, consistent and dry product. The new building, which is 300 x 86 ft with a height of 53 ft, encompasses two rotary dryers and screening as well as some storage. Our bagging operations are also located inside this building. We can bag sand and gravel from super sacking to 50lb bags.